Real Madrid started their Champions League title defense by collecting 3 points against Sporting CP, in a quite complicated 2-1 win at the Santiago Bernabéu. 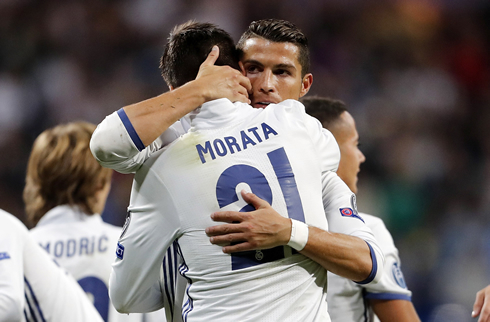 Cristiano Ronaldo and Álvaro Morata fueled the comeback in the dying moments of the match. 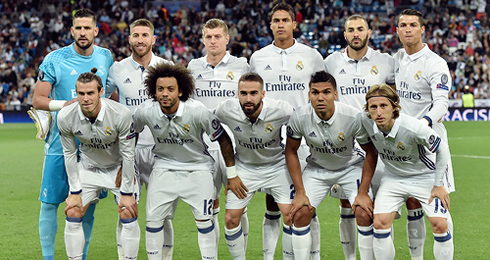 What everyone thought that would be an easy ride for Real Madrid, turned out to be a hard nut to crack. The Merengues hosted Sporting CP at the Bernabéu this Wednesday night and beat the Portuguese side 2-1. It's been a very special game for Cristiano Ronaldo, not only because he had the chance to face his first professional club in a big stage like the UEFA Champions League, but also because it was he who sparked the comeback with a free-kick goal near the 89th minute of the game. Just a few minutes after Ronaldo's equalizer, Morata headed in the winning goal and made sure Real Madrid would kickoff their Champions League title defense without slipping. Well needless to say that didn't go to plan. Sloppy and out of ideas, Madrid almost faltered in the Champions League today against Sporting CP in the Bernabéu. Usually, the opening stages of the Champions League are essentially a formality - Madrid romp through the opposition and get ready for the knockout rounds. Today however, it was not the case - until the last few minutes. It was heart in the mouth stuff for Madrid fans, but a late Ronaldo freekick and an Álvaro Morata header at the death was enough as Real Madrid came back from 0-1 down to win 2-1. From the opening minutes the Portuguese club didn't look remotely overwhelmed by the occasion. They were calm, built the game well from the back and at times looked the superior side. Their goal came in the second half after a defensive mixup between Ramos and Modric lead to an opportunity for Bruno César. He easily slotted his curling shot into the bottom corner of Casilla's net. It seemed easier than it really was, but regardless it didn't matter, they all count the same. Under pressure, Madrid attempted to recover, but they quickly ran out of ideas. The BBC were heavily isolated and Benzema in particular looked far off the pace. Eventually, Lucas Vazquez, Álvaro Morata and James Rodriguez would come on and each of those three would play a major part in changing the game. Firstly, it would be none other than Ronaldo. The only member of the BBC to remain on the pitch, Ronaldo, much maligned for his lack of freekick prowess in the past couple years, came through in the clutch this time around with a perfectly struck deadball in the 89th minute. His compatriot Rui Patrício could only palm the ball into the top corner of the net. It was one of the best freekicks he's scored in recent memory and his 12th all time in the history of the competition, a record indeed. And just when Madrid thought their blushes were spared, they actually went on to win the match. Substitute Morata's timely header in stoppage time from a James cross brought the Bernabéu to its feet and Sporting to their knees. The prodigal son marked his return to his home with a match winning header - the script couldn't have been better. 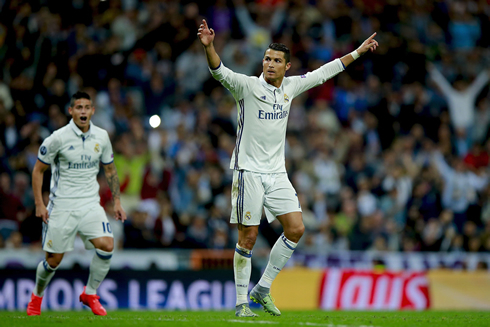 Cristiano Ronaldo next game for Real Madrid is for La Liga on September 18 of 2016, against Espanyol. You can watch Juventus live stream, Espanyol vs Real Madrid, Leganes vs Barcelona, Feyenoord vs Manchester United, Hull City vs Arsenal, and Everton vs Middlesbrough, all matches provided from our live soccer game pages.